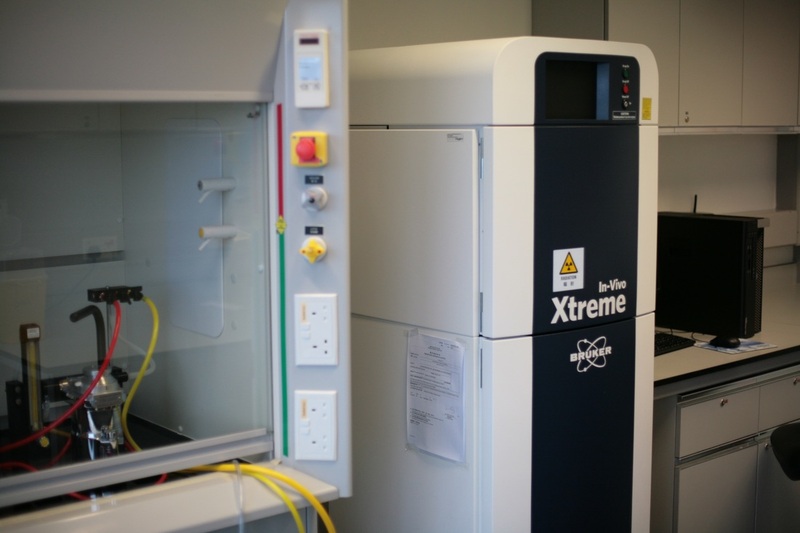 The Bruker In Vivo Xtreme imaging system enables high-sensitivity luminescence, fluorescence, radioisotopic and radiographic (x-ray) imaging. Please click here to find our the cost of using the system. Please click here for the exact technical specifications of the system. ​Depending on the type of imaging that you intend to conduct, you may need to (1) have attended and passed an approved radiation training course to obtain a Certificate of Competence in Ionising Radiation Protection, (2) applied for an “Application for Irradiating Apparatus – not on human body” and (3) applied for a Radiation Permit form the University Safety Office. This may take up to several months, so advance planning is necessary. Such permission may also be required in relation to application for (4) an Animal Licence from the Department of Health, and (5) Animal Experimentation Ethics Approval, from the Chinese University of Hong Kong. ​For your application process, you should state that the equipment is housed in Room 717, Lo Kwee Seong Integrated Biomedical Sciences Building, The Chinese University of Hong Kong. ​Copyright © 2015. All Rights Reserved. The Chinese University of Hong Kong.